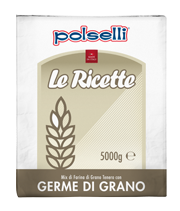 This flour is stone-ground, and retains the fragrance and flavour of hand-worked flours. The gentle milling and active wheat germ make this a nutritious product rich in amino acids and mineral salts. Type ‘1’ soft wheat flour, active wheat germ. Beef carpaccio, artichokes, pine nuts and pumpkin.